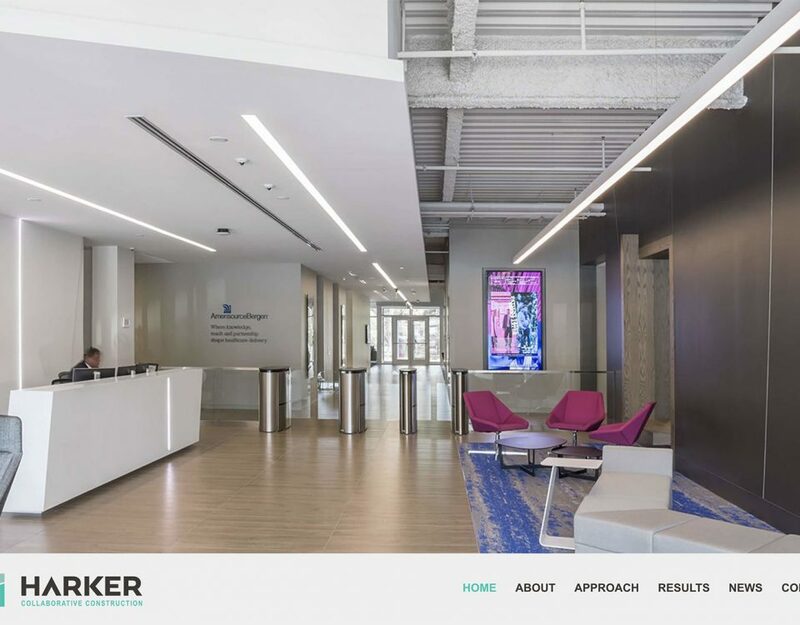 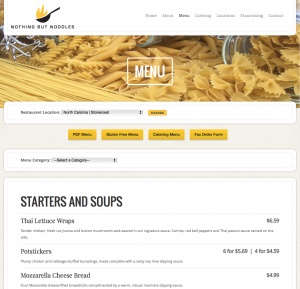 Relying heavily on flash, the Nothing But Noodles website hadn't been updated in years due to the cumbersome process of updating the site content. 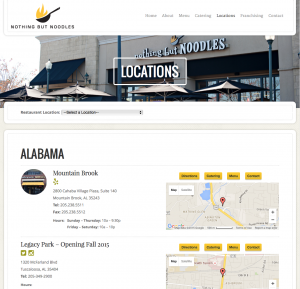 Nothing But Noodles came to D3 to develop an agile site that would grow as their franchises expanded. 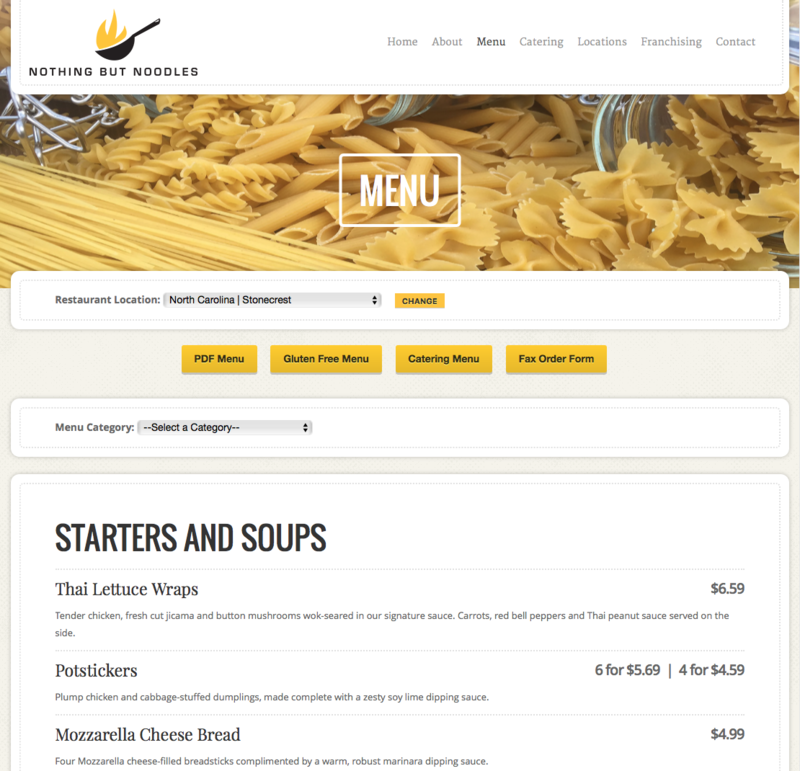 They wanted an easy way to showcase their food menu with pricing and availability dependent on the restaurant location. 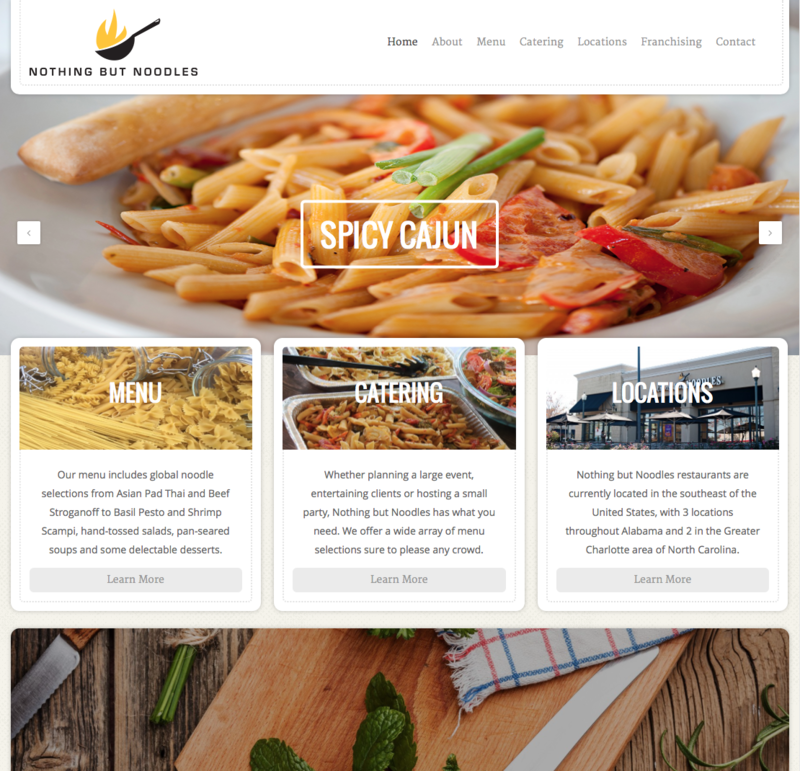 The Restaurant theme included a lot of the functionality that Nothing But Noodles needed, but lacked some key components such as multiple restaurant locations which D3 programmed into the site. 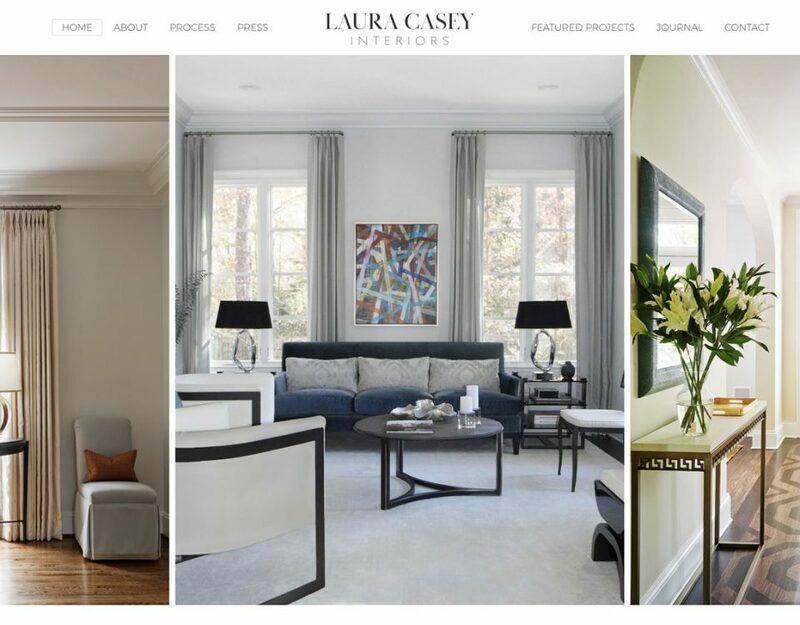 Customers can now easily find a location close to them, quickly find what they want to eat and how much it will cost, and order catering, if they wish. 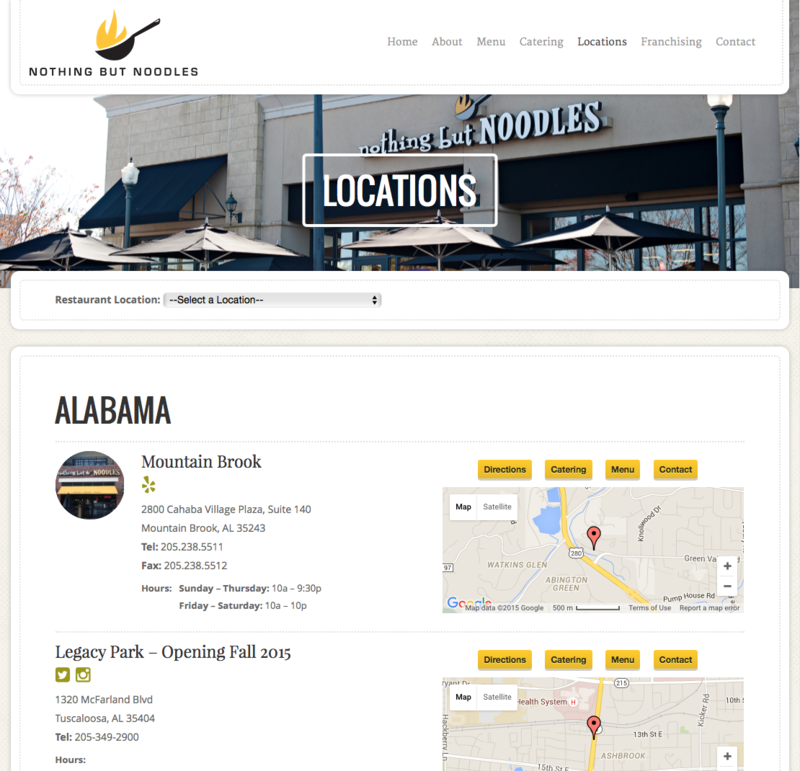 Nothing But Noodles is very pleased with their new website and the future growth potential.